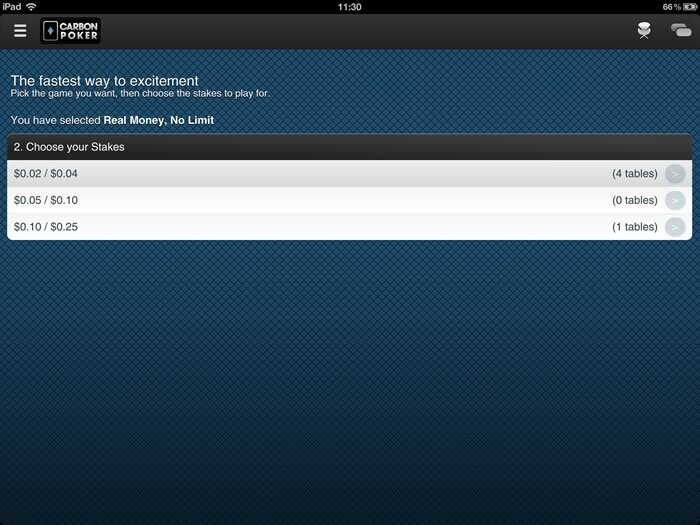 Carbon Poker have released a United States friendly real money poker client. Since the app is browser based, it will work on basically any smartphone or tablet, including Windows Phone, Blackberry, iOS, Android and Nokia. Ring games and Sit & Go's available. We no longer recommend that our readers download the Carbon Poker app due to problems many Carbon players are experiencing accessing their player funds. Open to real money poker player in the United States. No download. Play from any phone or tablets browser. Get up to $5,000 free when you register at Carbon. Licensed & Regulated in Canada. 100% Secure & Safe. No install, play instantly from your Safari browser. Get up to 35% rakeback when you play at Carbon Poker. Carbon Poker has been in and around the online poker industry since 2005. The brand didn’t actually launch to the public until 2007 however, but since then have gone to become one of the leading poker rooms on the Merge network. The biggest pull the site has is probably through the acceptance of US based players, which is something of a commodity within the current online poker climate. 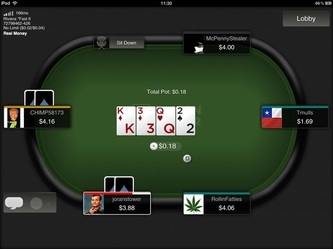 Their most recent addition to their poker development has come in the form of their iPad app. 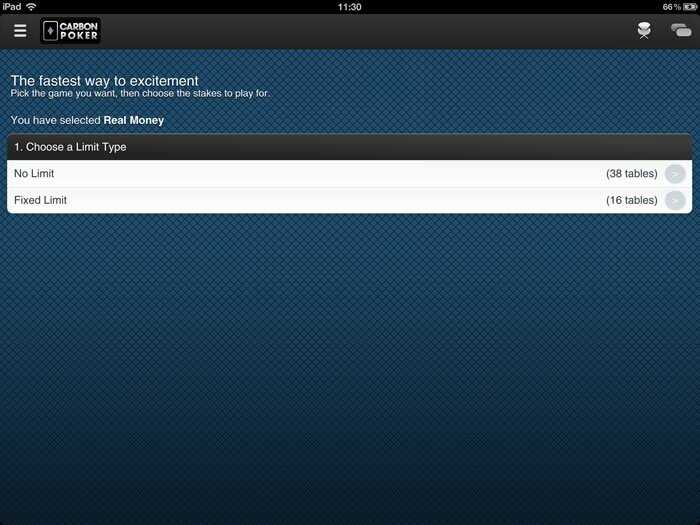 Notably, this is the only iPad poker app that is available to US players at the time of writing this review. As a result, Carbon has a massive opportunity to really get a head start in the mobile poker market in the US, which potentially could be one of the world’s biggest market. As so few companies have the reach that Carbon do, it will be interesting to see how their app stands. We are expecting it to go one of two ways; either they have produced something that will be worthy of such a massive market to entice players or they will have produced a bit of a rush job and lacked the quality it deserves. One thing is for sure, they have a huge chance to make this app simply massive for the company. First off we just want to mention that you can’t actually sign up to the poker site directly through the app; this has to be done online. But you can still claim the following bonus and also clear the bonus when playing on the app. Upon registering your new account you will be able to claim a whopping 200% bonus on your first deposit up to a maximum of $5000. Qualifying deposits start from just $20 and the maximum to work with the bonus is $2,500. Obviously you can deposit much more than this if you require, but only your first $2,500 will be eligible for the bonus. You get 90 days (typically) to clear your bonus but the bonus will expire if you make a withdrawal for any amount within that timeframe. For every 150 VIP points you earn at the table you will release $1 of your bonus, with increments of $10 being paid into your account. Basically, 1,500 VIP points are required to earn $10 of your bonus. IMPORTANT: You do not need to download or install an app in order to play Carbon Poker on any tablet or phone. The client is completely browser based, so you just browse to Carbon Poker from your iPad's Safari browser and login once you have created a free account. In terms of design, the app looks very slick and modern, if a little on the humble side. Carbon has always been one for design and this app is right up there with some of the better looking ones we have tested. The navigation of the menus is one that leaves us a little baffled as it doesn’t really have a ‘home’ section, as such. The app opens up –after log in – with a quick start menu where you can choose your limit, then your stake before being instantly sat at a table. Now this isn’t a bad thing at all, but it just seems a little unusual to not go to some of home menu to start with, at least. That being said, throughout the lobby the top of screen will stay with you where you can choose from a drop down menu to narrow your table search down, a button to the quick find tables section, a list of all the games that are currently running and button to instantly flick between the real and play money tables. The settings tab allows you to change up how your poker tables work and even look. You can choose between options such confirm buttons, top up play money, visit cashier tabs, reset settings, auto post blinds, auto muck, time bank, four coloured deck, auto re-buy and more, of which are mainly table related and we will discuss later in this review. The tables tab shows a full list of all the games that are on offer. 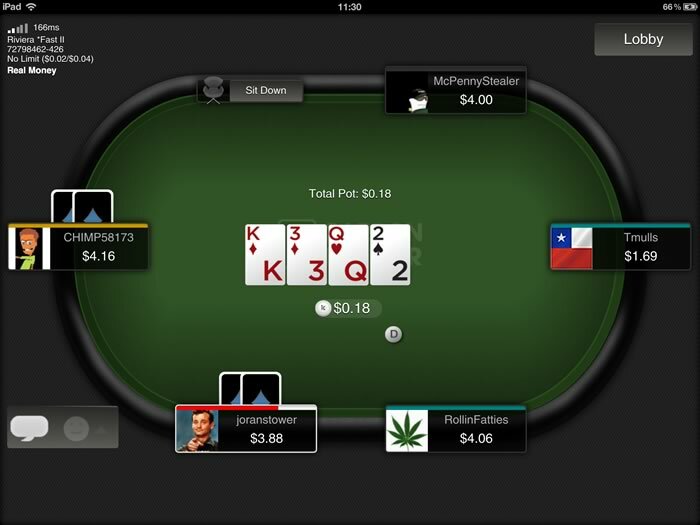 At the minute only Texas Holdem can be played via the app with stakes ranging from 2c/4c up to $3/$6. Now this is a pretty shallow range of stakes in all honesty and it kind of excludes a lot of players from the app who want to play higher stakes. But, that being said, you’ve got to bear in mind that this app is still pretty young, its targeted towards the US market as well (with funds not being as easy to deposit and withdraw) resulting in this likely being a bit of a trial and error time for the carbon poker app. Additionally, the setting tab can be used to sort the tables into a specific order and hide both full and empty tables, if you so wish. Interestingly, the play money tables do get quite a fair bit of action, which we would generally put down to people new to the app trying out the tables before using really money. This is something we would highly recommended to be honest, at least until you are familiar with how everything works and have the settings set exactly as you like them. In addition to Texas Hold'em cash games, Carbon Mobile now also offers Sit & Go tournament with 2, 6 and 9 seater-tables. Option to play in Turbo speed if you'd like to finish your tournaments quickly. 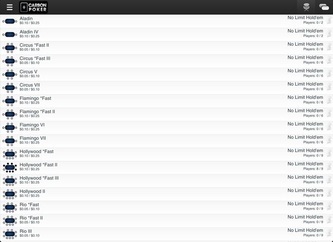 The best part of the whole app, and arguably the most important, has to be the tables on the Carbon Poker app. First up, they look amazing! The graphics are a little darker than some apps, but this seems to work really well with the cards being the prominent section. The colours are pretty neutral – dark green table, black background and a light grey for the calls to action – with everything looking super clear and functioning really well. The speed of the games are also a massive positive with no lag, no waiting around for hands to start and actions being pretty much instant. What was a really great feature is the way in which you get asked to confirm your selection. Even on the iPad there will be times when a miss-click or two are going to happen, but the confirm option means you can easily override this decision should it come about. Integration of a manual time bank and the ability to include features such as the auto buy-in/top up at the table again add to the overall feel and functionality whilst at the table. You can even chat to your opponents and the inclusion of emotions is something that most will find amusing, although these –thankfully! - can be turned off. We spoke initially in the article about which way Carbon Poker would turn in terms of producing a high quality app to appeal to the masses or simply take advantage that this is the only real money poker app available to US based players. We can confirm that they have taken the former by producing easily one of the best apps in the market. Initially, we had our reservations in terms of where the app started with the lack of a real ‘home’ section. But everything you need to navigate about is there; it just takes a little getting used to. The most positive thing about the app has to be the games itself. 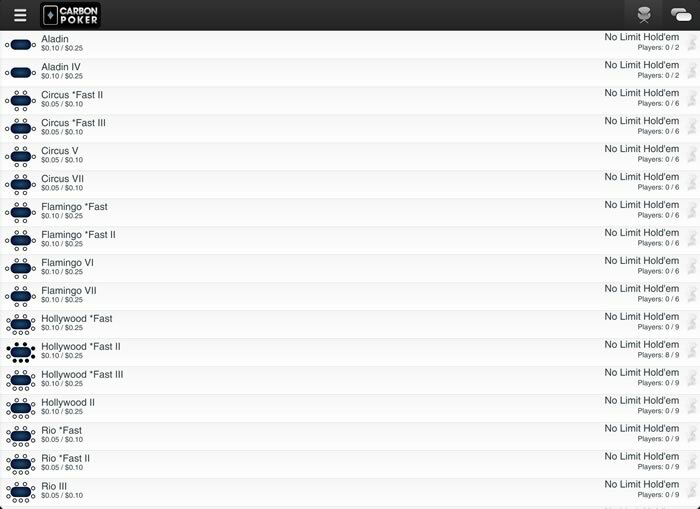 The aesthetics and functionality of the tables are second to none making it very easy to recommend this app. 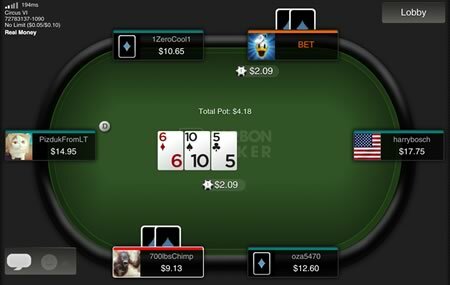 REMEMBER: Carbon Poker was developed using HTML5 so you play it from your tablet or smartphone browser. You will NOT find it in the iTunes App Store. To play real money poker on your iPad in the United States, you first need to create an account with Carbon Poker and then browse to their poker site. Read our reviews of these other compatible apps.